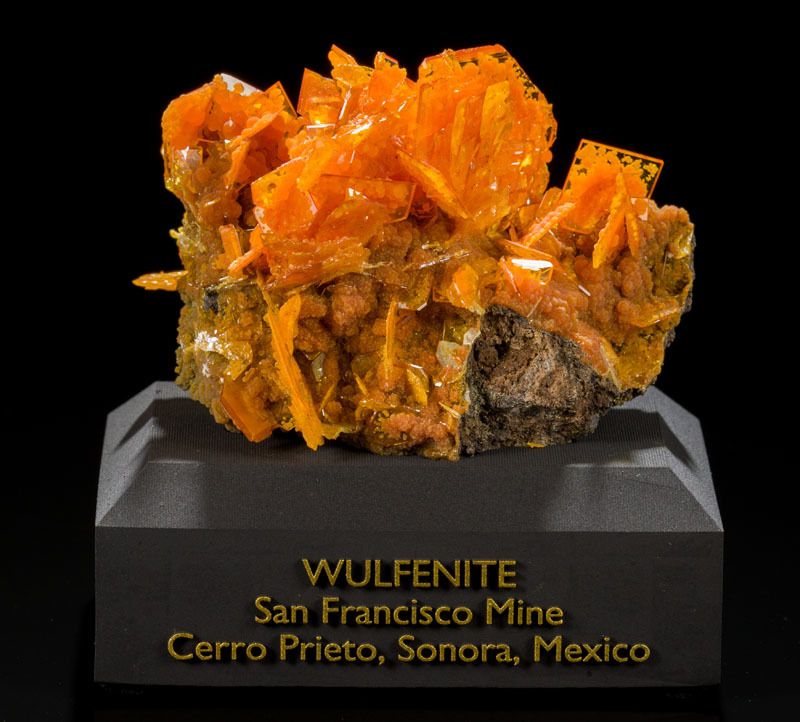 DUE TO THE FRAGILITY OF THIS SPECIMEN IT IS ONLY AVAILABLE FOR LOCAL PICKUP IN AUSTIN, TEXAS. 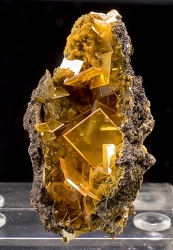 IT IS TOO FRAGILE TO SHIP SAFELY. 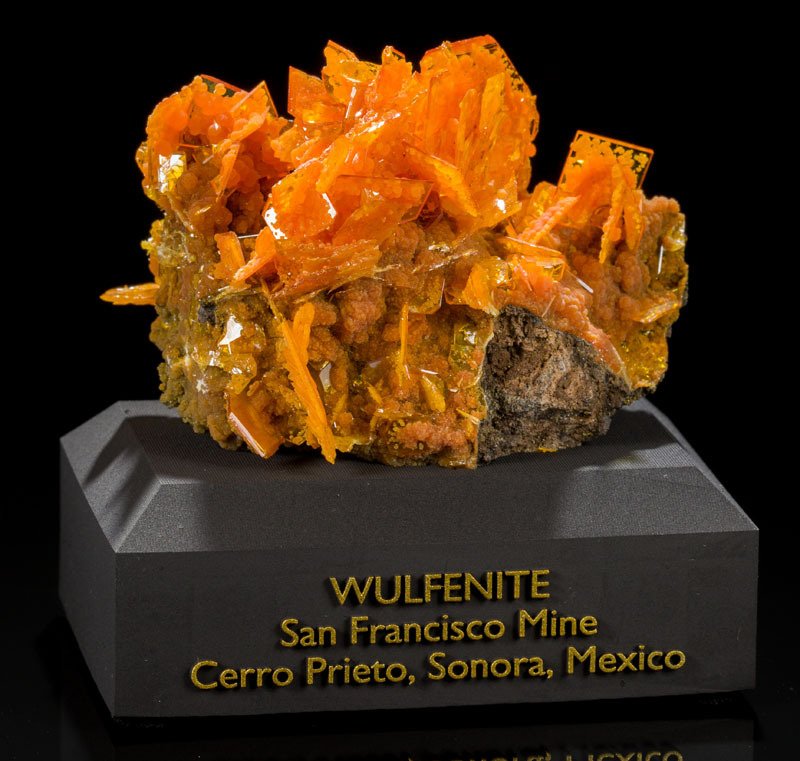 WE CAN ALSO HAND-DELIVER IT TO THE TUCSON OR DENVER SHOWS. 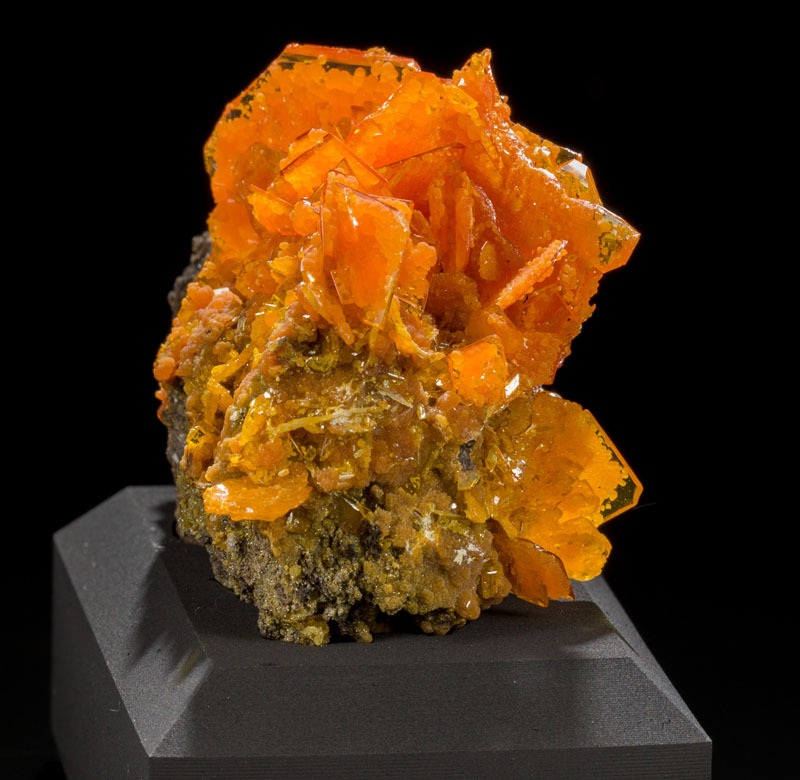 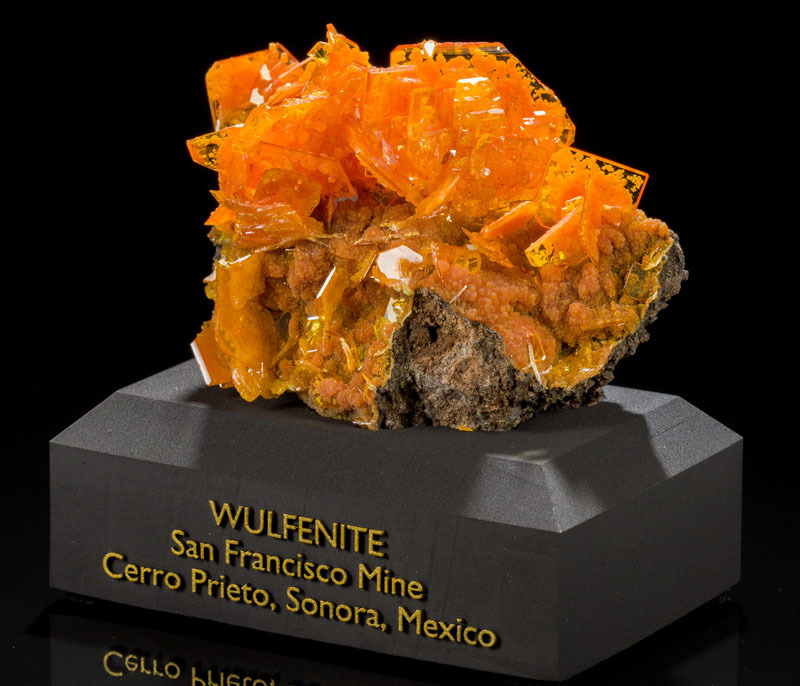 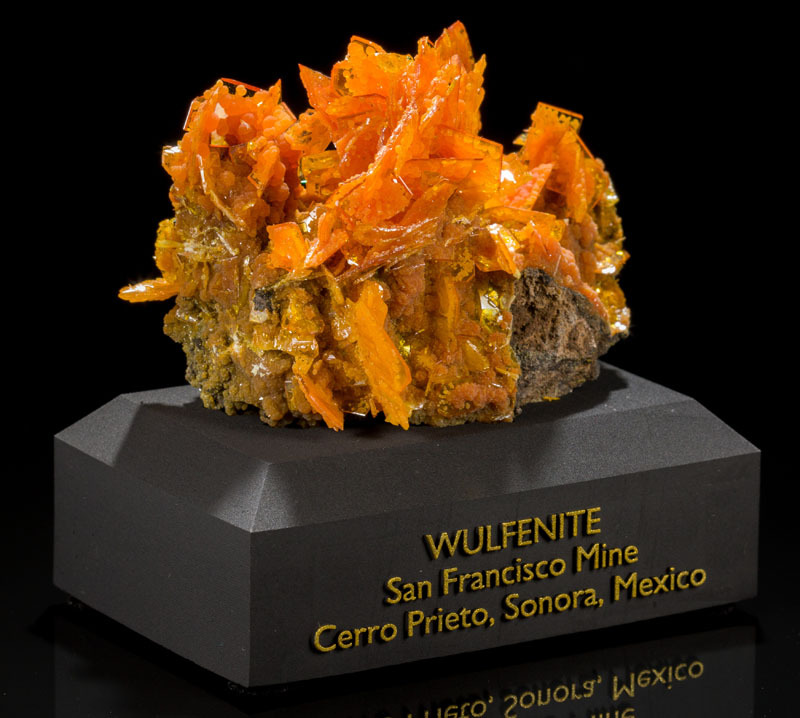 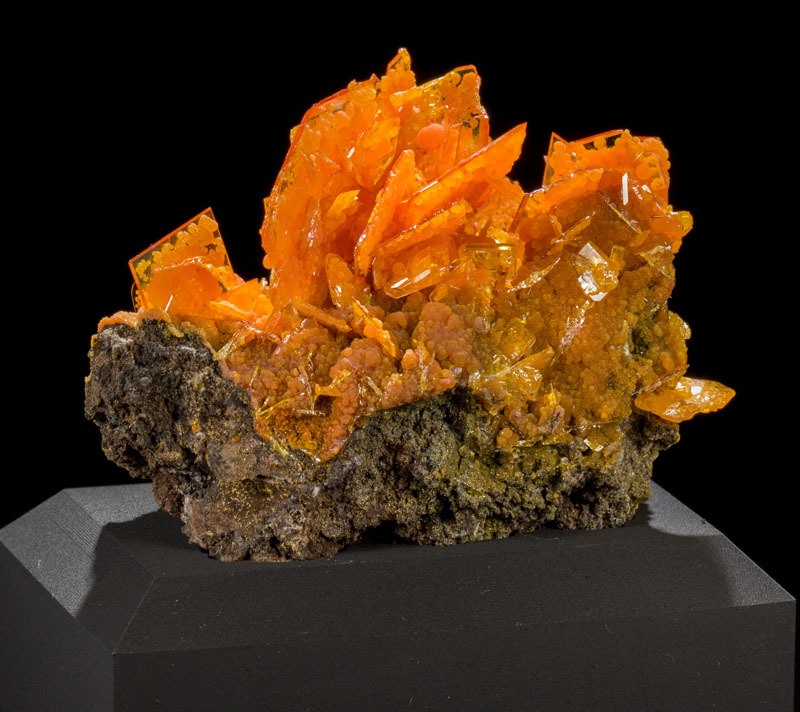 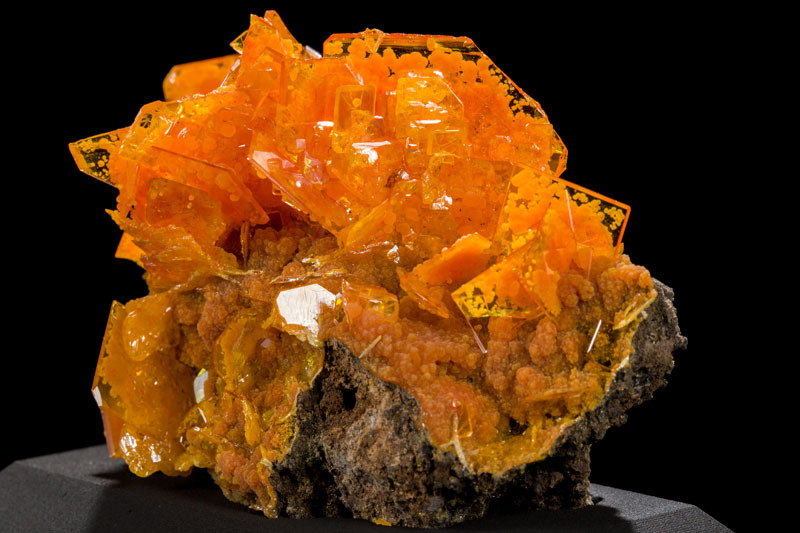 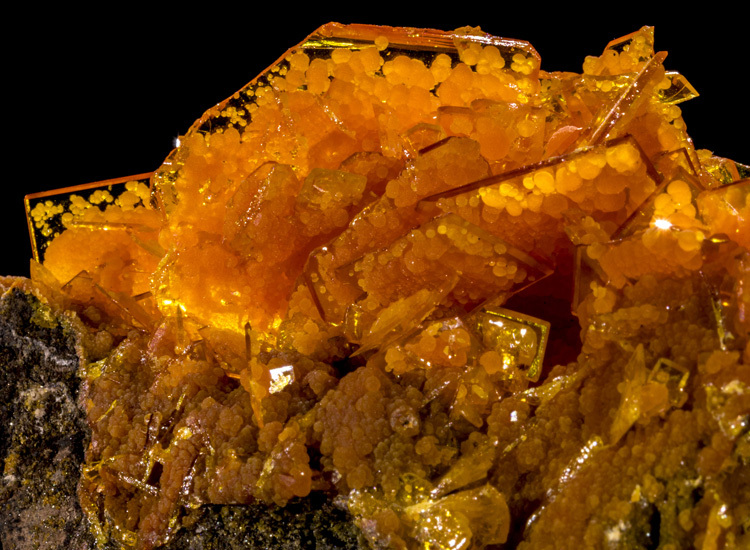 The color of this Wulfenite specimen is quite exceptional! 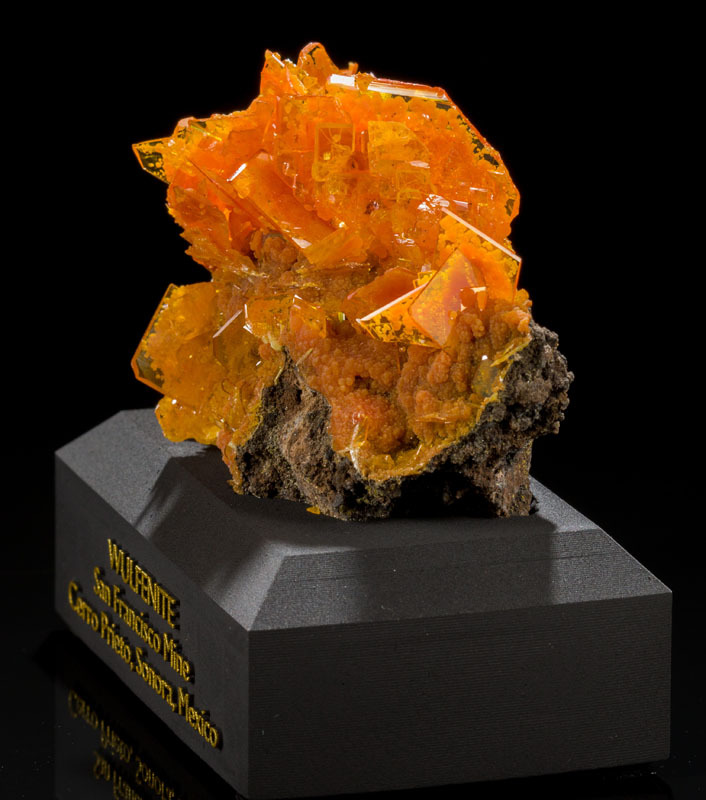 Most of these are a paler, yellower shade of orange, but this one is a pure, saturated orange color, so it really stands out when compared to others from this mine. 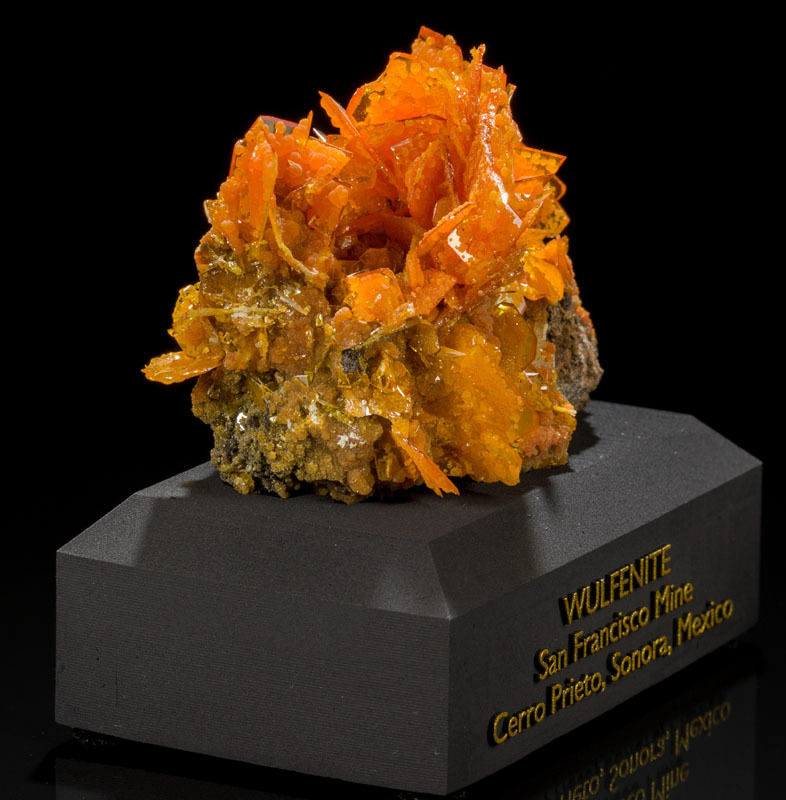 There is Mimetite growing on the matrix and on the Wulfenite blades, and when this piece is placed in a display case under a spotlight it lights up with a such a strong color that your eye is immediately attracted to it! 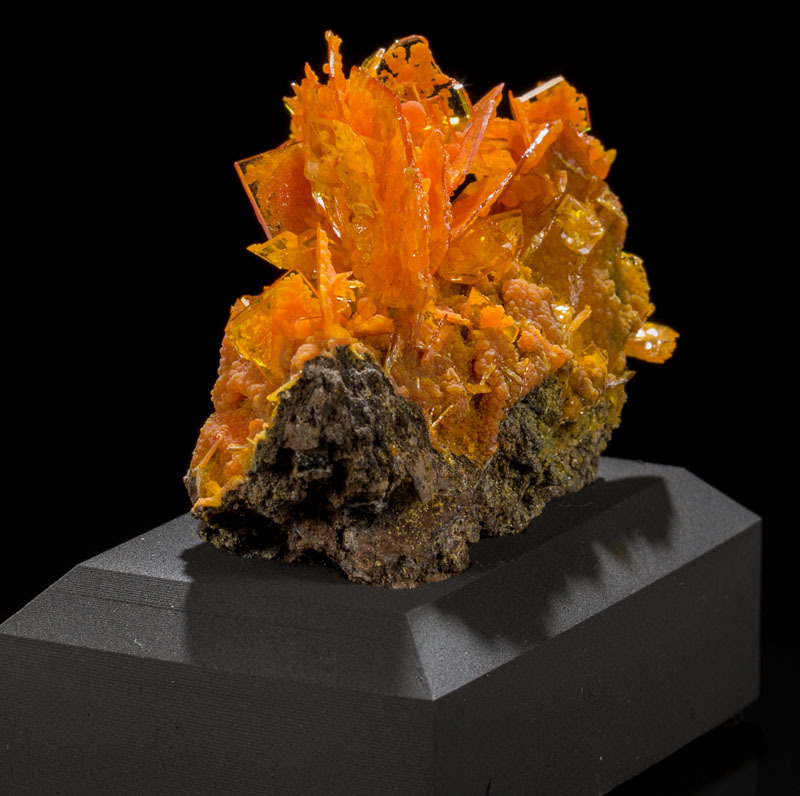 This is a very old piece from an old collection that hasn't seen the light of day in decades (probably the 1970's). 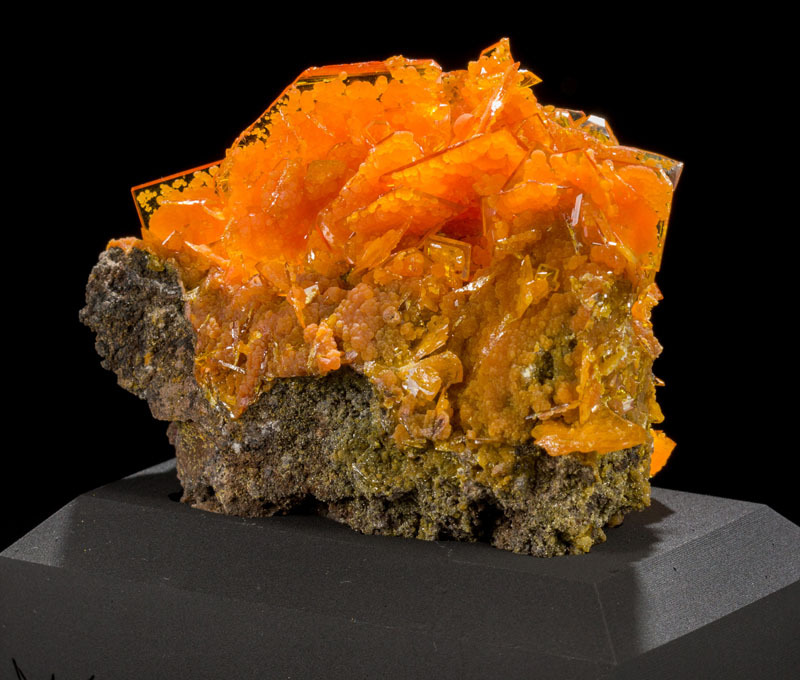 Condition is typical for a dense Wulfenite like this, so it has numerous broken blades, but you have to look pretty close for it to matter because this piece is all about the color.